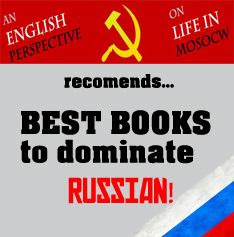 UPDATE: I wrote this review about two years ago after I finished the book, since I'm planning a new series of posts looking at certain books about Russia, I wanted to include this. Naturally, it got lost in the sea of older posts, which is just something that happens on blogs. If you have ever taken an interest in life in Stalin's Russia, you might have hear of this book. 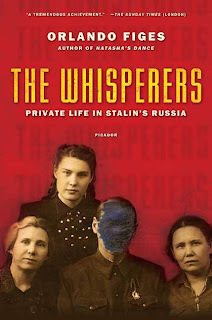 It's called The Whispers and is about the personal lives of Russian citizens from different backgrounds in Stalin’s Russia. Now, this is no dry historical fact fest but rather like a combo of history, blended in with peoples’ lives and memouris of the times and suggestions as to how the mentalities of different layers of society were formed along with their attitudes. The book uses excerpts from diaries, archives and hundreds of interviews with Russians who lived under Stalin, some who had it great and others who had it bad and details their lives and the lives of their families on the ever-changing political background of the times. The book manages to keep bias out of the picture (in my opinion at least) and gives the reader a really rare insight into the life and hardships of people of times gone by. I won’t say much more other that for me, seeing as I like history and all, this book was one of the most interesting I have ever read. It’s a long book and to some it might seem daunting because of this, but it reads like a compelling novel. If anyone reading this is even slightly interested in Russian history or Stalin generally, I absolutely think you should pick up a copy of this beast ASAP. I got mine from ebay since there aren't so many around, but you might be able to pick up a copy from Amazon. 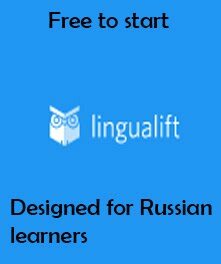 For anyone who’s interested the author of the book is Orlando Figes and you can read all the interviews with the book’s subjects on his website: orlandofiges.com (although you’ll need decent Russian to read them). Other than that there are lots of old photographs and bits and pieces on the site. UPDATE 2: while I really enjoyed the book, the author has come under a bit of suspicion and it might be worth having a look at this piece in the Guardian before you decide to buy, you know, got to have all the perspectives out there. 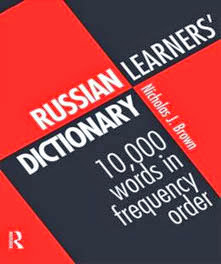 Any chance I may borrow this book?